Order the dac biet ($4), meaning “special,” with house-made pâté and ham. Fried fish perfection ($16) with a Pike Place view. New, larger location—same flavorful roasted pork with crackling skin ($12.50). 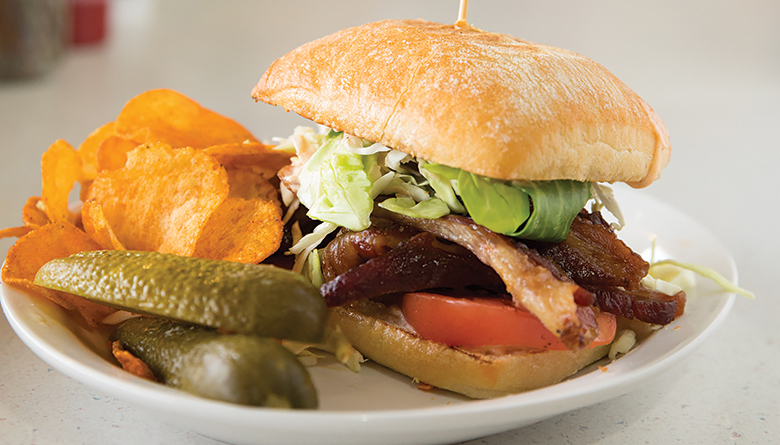 House-made bacon takes this simple sandwich ($10.99) over the edge. Get it medium for a lingering burn, naked if you’re spice averse ($11.50). Slow-roasted pork gets a boost from a mound of caramelized onions—grab some napkins ($11.50).